A story is making the rounds this morning, as they are wont to do, that appears to indicate Apple is censoring the word ‘jailbreak’ in the iTunes Store. But in the end, as is often the case with these kinds of things, the cause seems to be a simple error. This time in the ratings system implemented by iTunes. The genesis of the current round of posts was apparently a tweet by iPhone hacker Musclenerd, reported by Shoutpedia and broadcast by Cult of Mac, among others. But this is actually not a new thing. 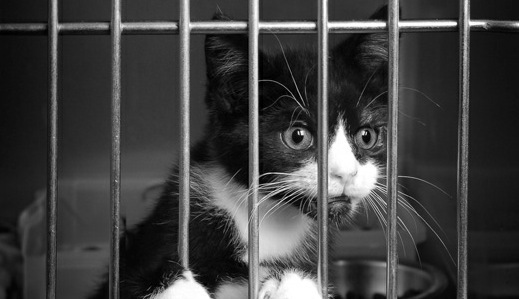 The word jailbreak has been persona non grata for a while now, as far as I know a couple of months, perhaps longer. Ironically, CoM blogger Alex Heath noticed that the iTunes Store had censored an episode of the site’s podcast 27 days ago. The recent surge of news about it is likely due to the ‘reblog’ effect that causes these kinds of stories to reverberate throughout the Apple community. If you’re unfamiliar, jailbreaking is the process by which an iOS devices’ software is altered to allow the installation of third-party applications un-approved by Apple. Some popular examples of these include data tethering applications that are not dependent on carrier support, themes and skins that alter the appearance of a device and various utilities that extend the capabilities of iOS. Understandably, Apple wants jailbreaking to have to have no official foothold on its own stores. While there’s nothing inherently evil about unshackling your device, and it’s still legal, for now, it certainly goes against Apple’s terms of service and can definitely lead to system instability if users go crazy installing hacks. So, the fact that Apple wouldn’t want apps that advertise jailbreaking in their names in the store isn’t surprising in the least. In fact, it goes beyond simply branding, as those apps are almost completely scammy in nature. Any app on the App Store will have no power to jailbreak a device, regardless of how they present themselves, all of the genuine work on jailbreaking devices happens outside of the App Store. If jailbreak is a ‘bad word’ to Apple, the one place that I would expect to see it most aggressively curtailed would be in apps. It’s the one section where having jailbreak in the title is going to, 9 times out of 10, mean that you’re misleading the user. If I had to venture a guess as to what is going on with the rest of the sections, especially things like podcasts, iBooks and iTunes U, which are editorial and information-driven sections, I’d say that it was a simple mistake. In fact, it seems to be a simple error tied to the ratings systems applied unilaterally in iTunes. You can test this out for yourself by visiting iTunes>Preferences>Parental and simply switching the ‘Ratings for:’ setting to another country outside of the U.S.. 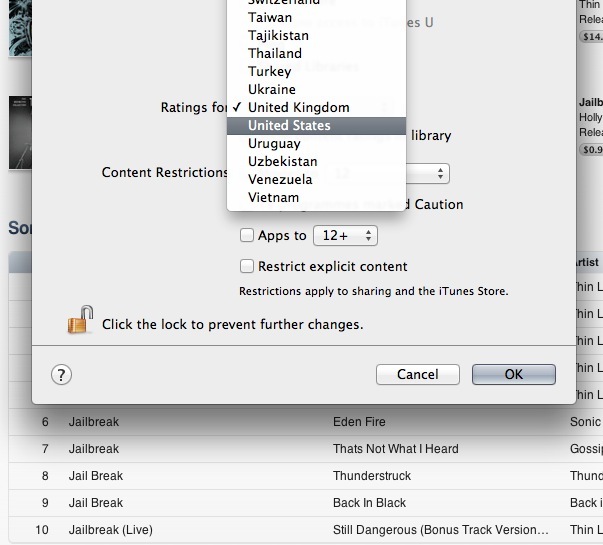 In fact, ‘jailbreak’ wasn’t censored for any of the other country settings that we tried, only the U.S.. It appears as if the word jailbreak got added to a general ratings list, rather than a specific block on apps. If Apple was simply enacting an ‘iTunes-wide’ ban on the word jailbreak, why would it only do so in the U.S.? Much of the world’s jailbreak community is located internationally, because one of the first major reasons to jailbreak iOS devices was to unlock it from its exclusivity to AT&T as a carrier. Why wouldn’t Apple censor it in the most popular regions for the term? If I had to conjecture, I would say that this problem will likely quietly fix itself now that it has gained some attention. Don’t be surprised to see the word jailbreak suddenly re-appear like normal in iTunes. We’ve reached out to Apple to see if they have a comment, and will update this story if we receive a reply.